Social media has changed the way we do marketing. Sharing on Facebook, Twitter or Instagram is the new word-of-mouth – if you manage to break through social channels and even go viral, you can vastly increase your audience size. This is especially true for those in the travel, hotel and hospitality industries. Having a strong social media marketing strategy for your hotel or resort will help your business reach a wider customer base while establishing your brand more effectively. Think of it as word-of-mouth, but with the help of digital tools. These days, attention spans are shorter and the amount of available information is infinite. Information overload happens quickly so be sure to offer content that is easily digestible. Many hotels and resorts achieve this with visually appealing multimedia – photos and videos of your property, the amenities you offer, and the surrounding places and activities of interest. A good example of this is the social media presence of Club Punta Fuego, a popular resort in Nasugbu, Batangas. Their Instagram and Facebook accounts are linked, and regular updates of photos featuring different areas and activities in the resort are posted on both. Posts by Club Punta Fuego are cross-posted and feature different activities around the resort. Their Twitter account, meanwhile, features announcements about events, booking promos and more photos from around the resort. Their messaging and media remains consistent throughout, and all their posts are easily digestible and visually pleasant. Punta Fuego Yacht Club—Serving a dynamic and vibrant community of boat enthusiasts and yacht owners. While the use of social media offers reduced marketing costs versus traditional marketing, it doesn’t mean you shouldn’t have a digital marketing budget. It means that you can spend your digital marketing budget more wisely. Promoted posts are a great way to drive more traffic towards your social media channels, as they increase your visibility. A study conducted in 2015 reveals that many brands and content creators consider sponsored or promoted social media content to be effective. 76% of the brands surveyed were using promoted posts in their campaigns and 61% reported it as effective. Even on newer platforms like Snapchat and Periscope, promoted or sponsored posts are effective at distributing content to your target audience. Agoda.com uses this feature all the time. Whenever you visit their website and exit without making a booking, they retarget you on social media with a sponsored post based on your last search. 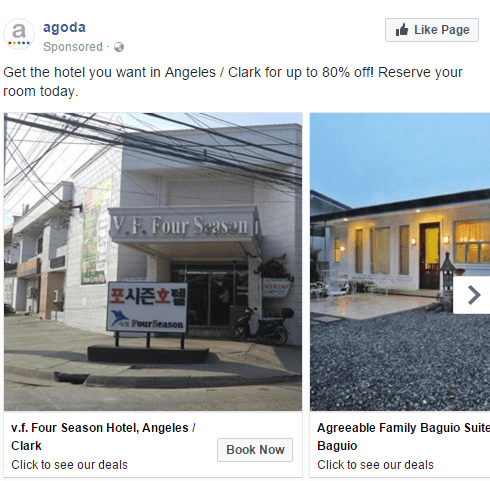 Agoda leverages sponsored posts to offer booking options for hotels and resorts based on your last search. What makes social media more powerful today is the presence of analytics tools for each platform. Social media platforms are making it easier for you to access as much information about your audience as possible – use it to maximize the power of your content. Facebook has its Audience Insights, a tool that gives you an overview of your demographic, their background, their interests, and their behavior so that you can tailor and optimize your content and your posting schedule. Similarly, Instagram users with business profiles will have access to Instagram Insights. Both Twitter and Twitter-owned Periscope have their own basic analytics dashboard as well. YouTube has its own analytics platform that reveals viewer behavior such as watch time, average view duration, different forms of engagement (likes, dislikes, comments, etc. ), top videos, geographical location of viewers, and more. You’ll also find third-party tools like Hootsuite to help you view social insights on your platforms without having to visit each one individually. This will help keep your campaign aligned and give you a bird’s eye view of your entire social media campaign. The trick with online marketing – whether it’s on social media or on other platforms – is to get the trust of your audience. Sharing other people’s wonderful experiences at your resort is a great way to build that trust. Encourage your visitors to share their experience on social media and repost it on your own page, and have them rate you on Facebook or post a review. Deloitte reported that 47% of millennials – one of the biggest groups that travel regularly – make purchase decisions influenced by social media. BrightLocal’s Local Consumer Review Survey from 2016 reveals that 91% of consumers read online reviews on a regular basis, and 74% say they trust a business more if they see positive reviews. 84% of respondents also said they trust online consumer reviews as much as they trust personal recommendations. 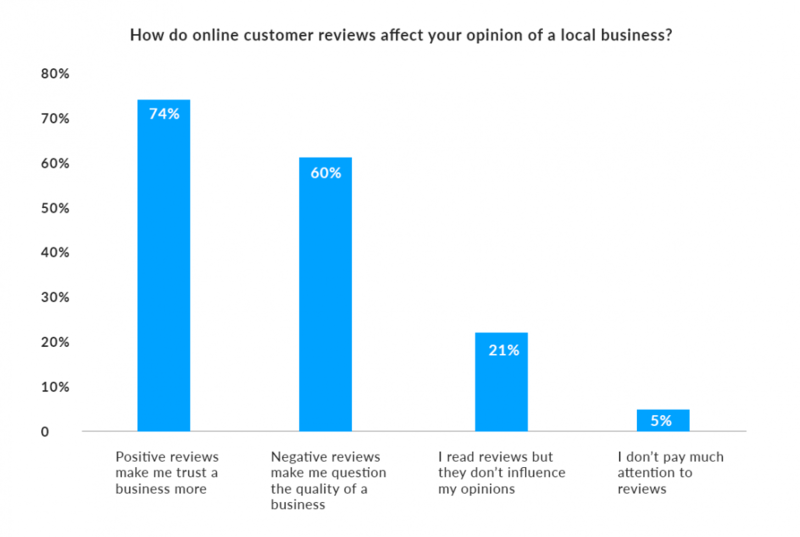 BrightLocal revealed the impact of online consumer reviews on businesses in general. Encourage your customers’ participation in promoting your resort through reviews. Ready to get started on improving your own social media strategy for your resort? Look no further – get in touch with us, today, and tell us what you need – and we’ll partner with you to show you how it’s done.